Tir Na Nog are the Irish folk duo of Leo O’Kelly and Sonny Condell. These guys are veterans, having formed in 1969 and their first albums were released by Chrysalis in the early 70s. This four song EP includes three originals and a cover of Silver Apples’ I Have Known Love. At first it might seem odd for Silver Apples to be covered by a folk band. But if you listen closely to the original I Have Known Love, you’ll hear, buried among all the strangeness, a simple and very pleasant song. 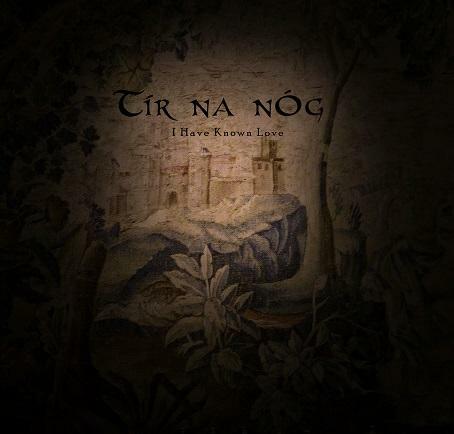 Tir Na Nog zero in on that song element and make it their own. All four of these songs are beautiful. It’s gentle, acoustic driven Folk music, but with a mystical quality. If you’re unfamiliar with these guys but are a dedicated FdM patron who enjoyed Soft Hearted Scientists, then you’re sure to dig Tir Na Nog. They’re more stripped down and not as “out there” as the Scientists can get, but definitely in the same general realm. One song that’s a little different is one you won’t hear because there wasn’t enough room on the 7″, but reviewers got it (nyah, nyah!!). Andria is a love song that’s more 60s Pop than Folk, and even has a cool Jazz flavor. Nice. The EP will be available in June, and as usual this is vinyl ONLY, no CDs or downloads. If interested you better hurry because Fruits de Mer releases sell out QUICK!